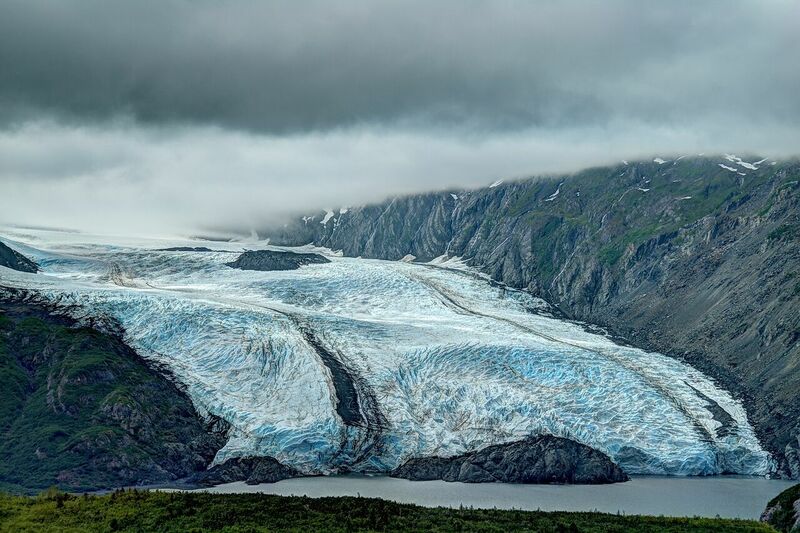 From Valdez, Alaska, we put our 23-foot Sprinter on the Alaska Ferry, and sailed across the Prince William Sound, saving us hours of driving. 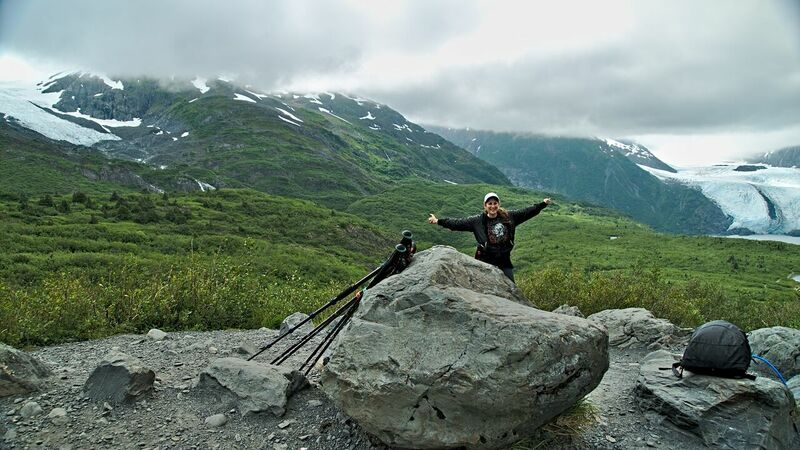 View from the campground in Whittier Alaska. 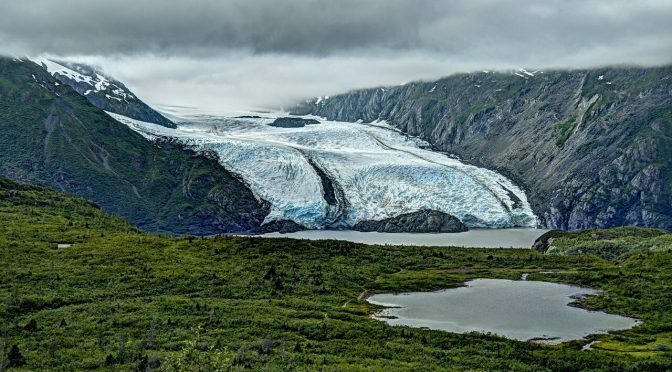 Whittier, a port of call for some Alaska-bound cruises is accessible only by water and through a single lane tunnel that is shared with the railroad. Seriously, after the train passes, the cars in one direction are sent through, and then the cars in the other direction. It demands a little patience. The city has some campground spots right on the Sound which offer a beautiful vista. We spent a couple delightful nights there, sunset was still almost 11:00pm. 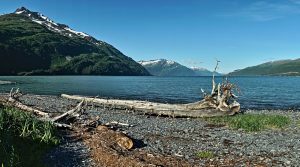 The backward view of Whittier and the Prince William Sound is dynamic. We could also see the train waiting for it’s turn to enter the one lane tunnel. 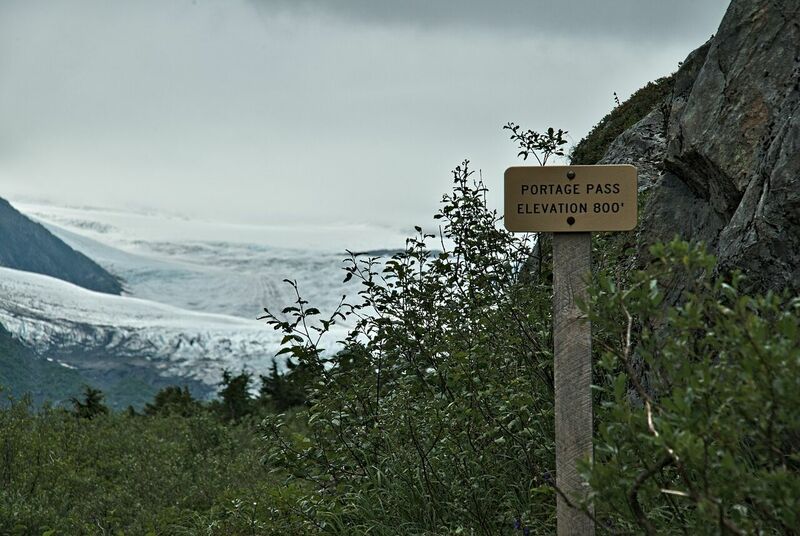 At the top of the pass, we were treated to vistas of the Portage Glacier, it’s lake and two other glaciers. The next day we waited our turn to drive through the Whittier-Portage tunnel. 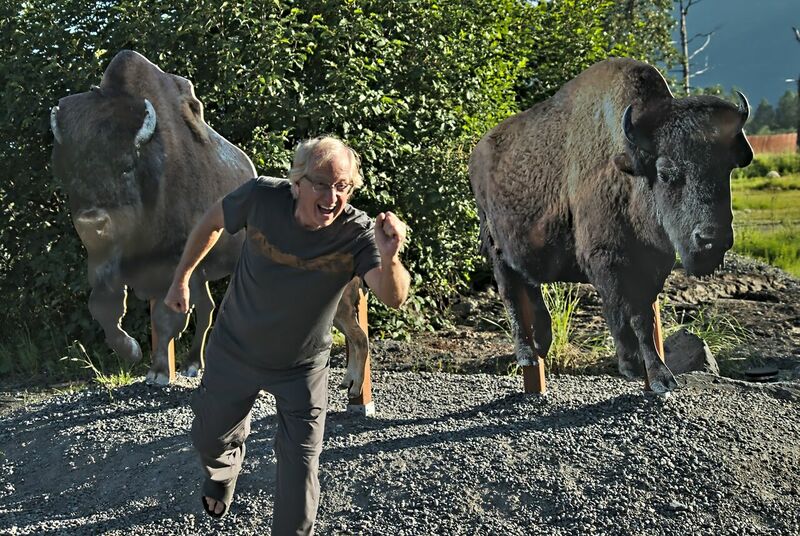 On the other side, we stopped at the Alaska Wildlife Conservation Center and learned how they successfully re-introduced the nearly-extinct wood bison to Alaska plains. 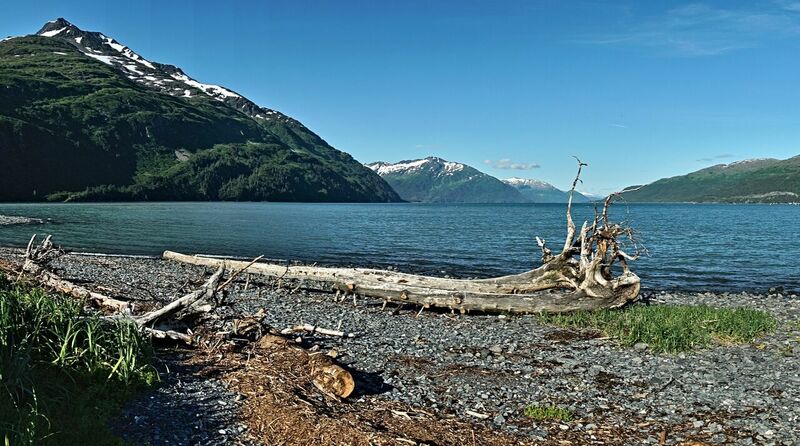 Ghost Forest on the Turnagain Bay. One very curious Alaska sight is a ghost forest. The Good Friday Earthquake of 1964, the largest that ever occurred in the United States, changed the elevation of the bays and caused a tsunami. The salt water intrusion killed the trees along the shore. It also preserved them by pickling them with salt. As a consequence, the dead trees don’t rot, and this ghost forest has looked the same for more than 50 years. Click below for photo gallery! 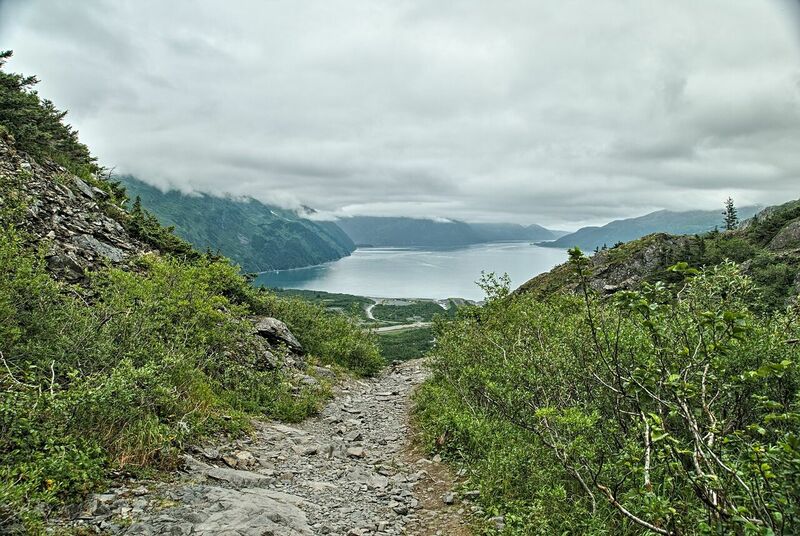 The Portage Pass looks down on Whittier and the Prince William Sound. 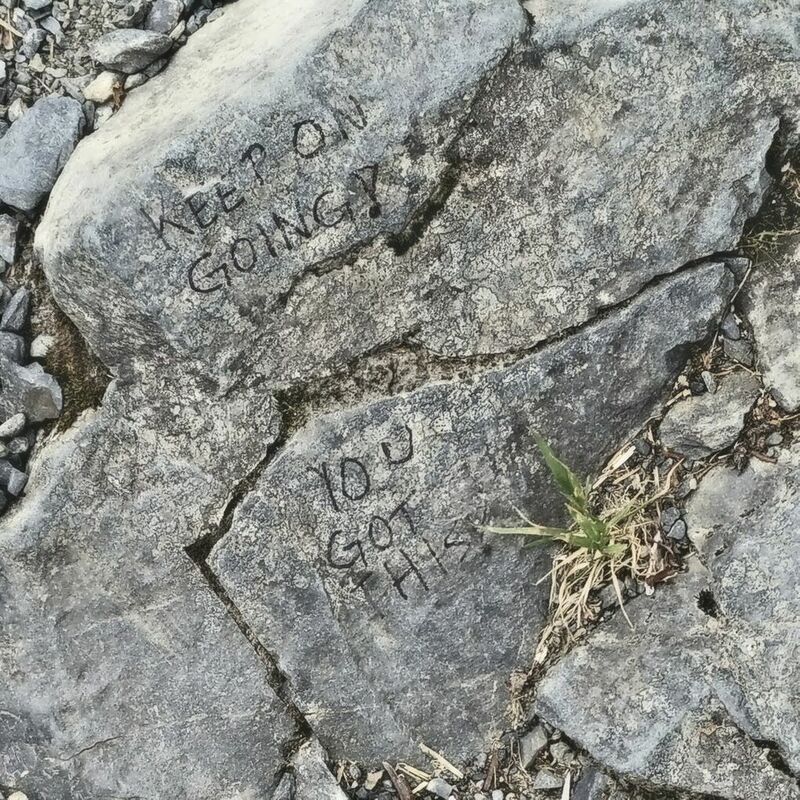 A rock on the trail about half-way up the mountain: "Keep on going - you got this!" 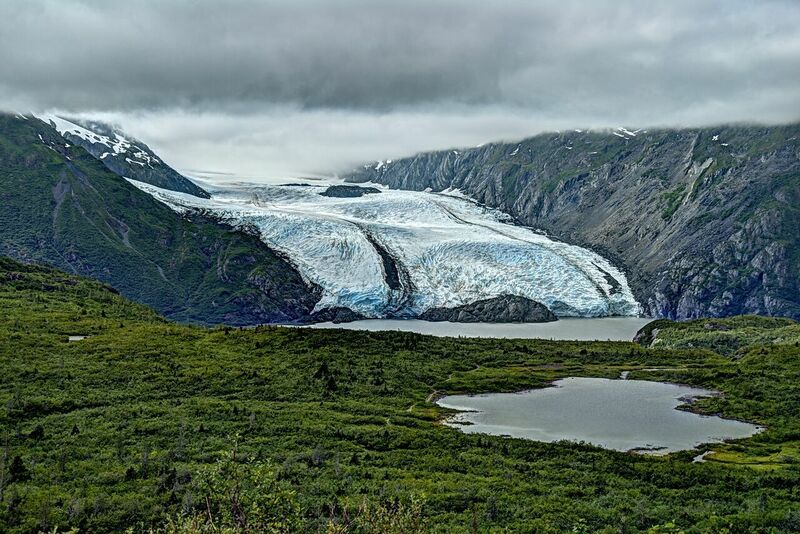 After climbing 800 feet, we are treated to views of multiple glaciers. The Divide Lake and the Portage Glacier melting into it's own lake. 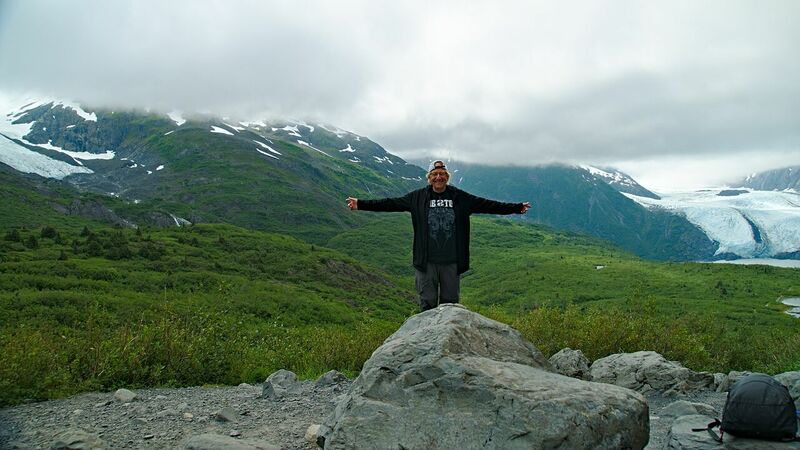 Lakes and mountains of Alaska. 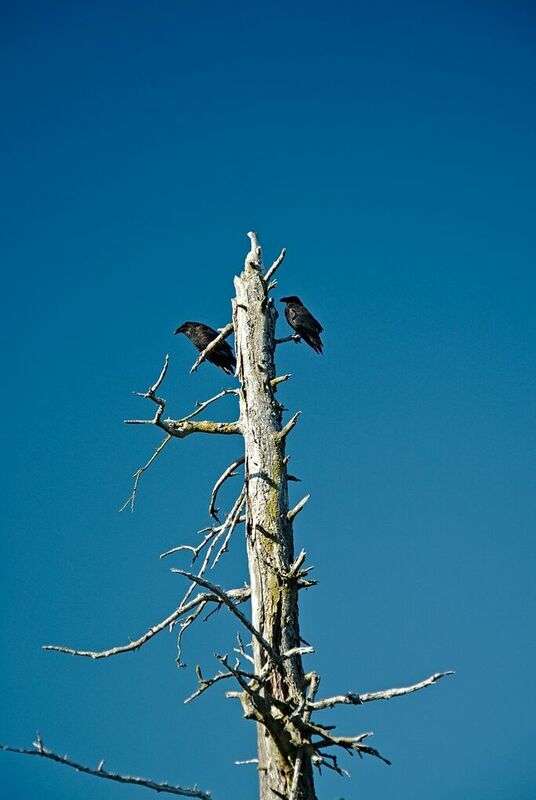 Ravens of the Ghost Forest. and love to see the distant world getting closer through your eyes and words. Interesting. I’ve never heard of a ghost forest! The photos are stunning. Miss you guys but I’m so glad you’re having adventures.